King Solomon, the author of Proverbs is said to have been the wisest person who ever lived. Why then, did he advise people to go watch ants in order to become wise? In this verse he is specifically addressing a sluggard, or a lazy person. We can all be lazy at times. So why did he advise us to watch the ants? Well if you have ever watched ants at work then you might understand. 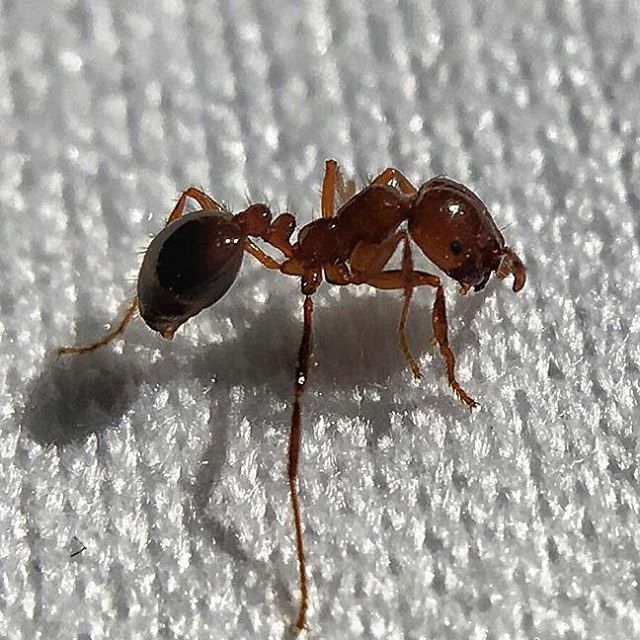 An ant is a very tiny creature. It does not seem very impressive on its own. As anyone who has seen an anthill knows, ants can accomplish astounding feats. What is their secret? Hard work. Ants work tirelessly. This is not to say ants never take a break. You might be surprised to learn that many ants have periods of time in which they are idle, even sunbathing.1 But when it is time to work, they are all business. When ants wake up in the morning they stretch their legs. This helps prepare them for the days work ahead. They go about their work with not complaint or thought for themselves. They are wholly committed to the community. Ants achieve amazing things. They have been known to build nests with miles of passages. Some nests require the movement of tons of earth—literally. One of the biggest confirmed ant nests was 26 feet deep and covered 500 square feet of space.2 That’s the size of a small house! When a job needs doing, many ants jump to help with the task. As the old saying goes, “many hands make light work.” King Solomon knew that if we watched what tiny, hard working ants could do we would be inspired to be hard workers too. Working hard is much wiser than being lazy. It will help us not to become sluggards. Have you ever been impressed by what ants or other insects could do despite their size? Is it ok for us to be lazy sometimes? What are some ways we are lazy? How is hard work wise?